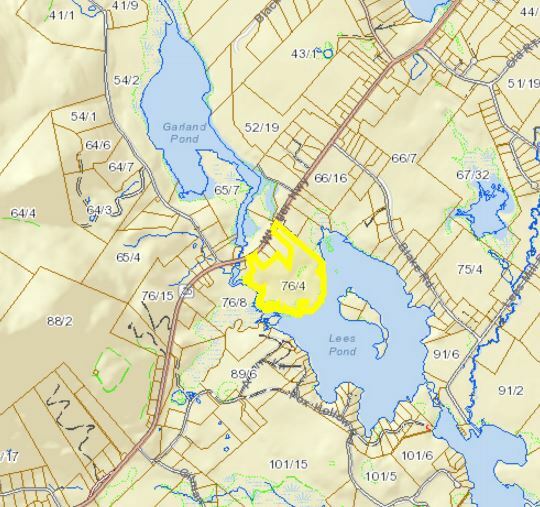 The land is hilly and rocky in spots, with wet lands and a few vernal pools in other spots. The shoreline along Lee’s Pond is marshy and goes out into mudflats. During times of high-water, there is water up to the property line. There are great views of the Ossipee Mountains and Red Hill. A primitive foot path winds through the property. Above is a working map of the property. You can zoom in or out and switch satellite view off or on. 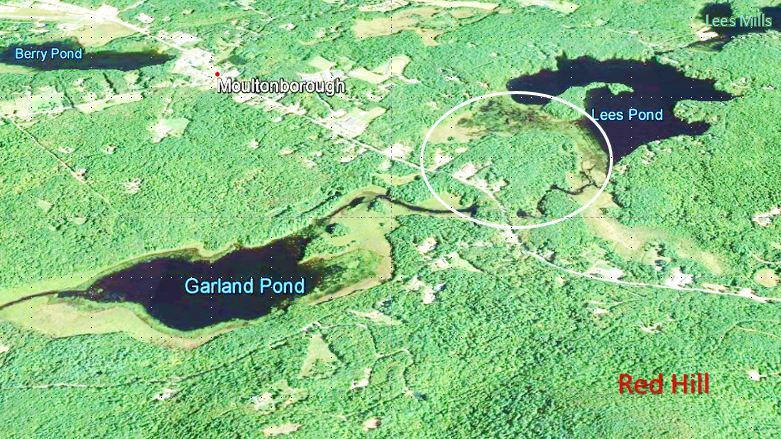 Here’s another view, looking south east from Red Hill, across Garland Pond towards the conservation area (circled), Lee’s Pond and Lee’s Mills, part of Lake Winnipesaukee. 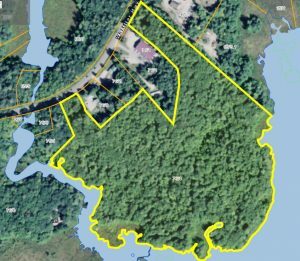 From this angle, you can better understand how keeping further development in this area can stem increases in nutrient loads on the lakes and maintain wildlife corridors and their habitat.